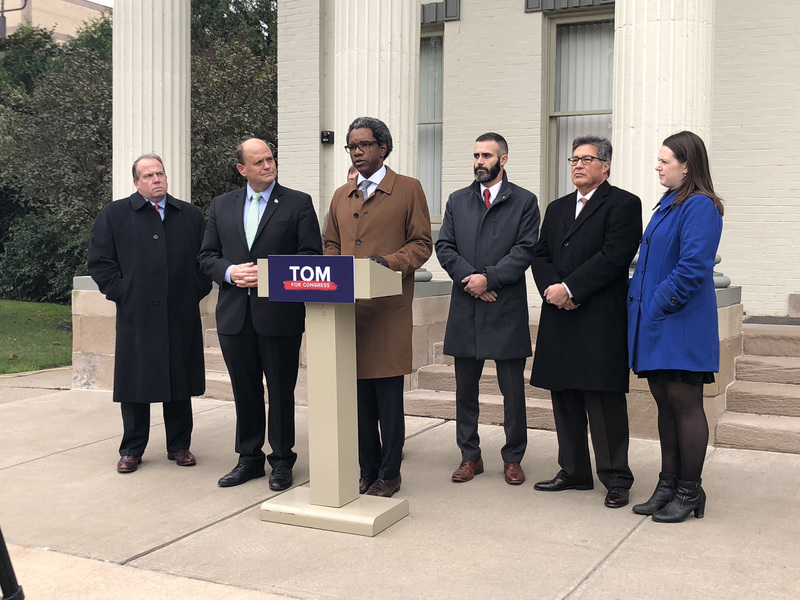 Today in a joint press conference with New York State Attorney General candidate Keith Wofford, Tom Reed discussed his opposition to open heroin injection sites in our communities. They were joined by Elmira Mayor Dan Mandell, Steuben County District Attorney Brooks Baker, Chemung County District Attorney Weeden Wetmore, and Yates County District Attorney Todd Casella. Tracy Mitrano, Tom’s opponent, has been outspoken in her support of open heroin injection sites, calling them an “appropriate” solution to the opioid epidemic plaguing our communities. During his portion of the press conference, Keith Wofford discussed his plan to combat heroin and opioid abuse.